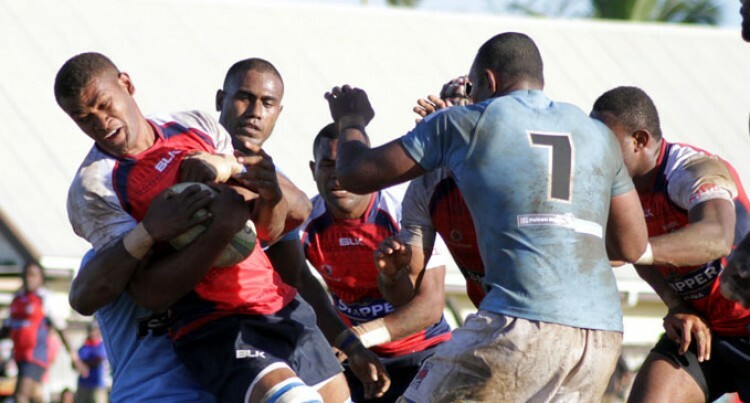 RC Manubhai Suva suffered its first defeat in the 2015 Skipper Cup competition at Thomson Park in Navua yesterday. The team lost 26-24 to Namosi. The side started with a bang with Watisoni Sevutia scoring in the 6th minute which was converted by Josefa Basudra, 7-0. In the 22nd minute Suva’s fullback Jaoji Dakuvula kicked a penalty to bridge the gap 3-7. In the 25th minute lock forwards Vaione Tegu scored the second which was converted by Joji Raqamate, 14-3. Jone Delana scored the first try for Suva after a pick and drive in the 27th minute followed by a conversion from Dakuvula, 14-10. Halftime: RC Manubhai Suva 17-14 Namosi. Namosi came back more composed in the second-half and applied more pressure. The side was able to score another try in the 31st minute but Raqamate failed with the conversion, 19-17. Not long after that Suva’s wing Nacani Wakaya scored another try for his side in the 39th minute. Dakuvula with the successful conversion, 24-19. Namosi needed every point they could get to win. In the 48th minute outside back Aporosa Gavidi managed to score the last try for Namosi with Raqamate sealing their win with a conversion 26-24. Star turn: Namosi displayed a good fighting spirit and deserved to win. Big play: Namosi’s Gavidi scored the last try for the side to seal their victory.